Despite the wars between Northumbria and Mercia, King Oswiu actively tried to strengthen the bond between the rival countries through marriage. He arranged for at least two of his known daughters to marry sons of King Penda. The puppet ruler of Mercia, Peada, was married to Oswiu’s daughter, Alhflæd. The late king Penda’s youngest son, Æthelred, was married to Osthryth, who was mentioned earlier. 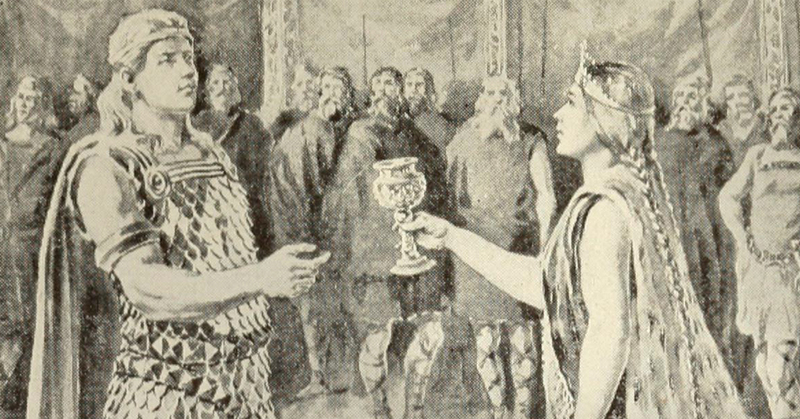 Penda had another son, named Wulfhere, who did not marry a Northumbrian princess, but instead wed a woman from Kent. As Osthryth was married to Æthelred, the youngest son of Penda, both wife and husband likely presumed that they would never sit upon the throne during their lives. As such, the couple followed the path taken by most royal family members that had little to inherit—they devoted their time to the church. Nevertheless, the course of events would take some unexpected turns. In 657, the puppet-king, Peada, was assassinated—supposedly with Alhflæd’s help—and the Mercians rebelled against Northumbria, with Penda’s other son, Wulfhere as their new king. When King Oswiu of Northumbria died in 670, he had been unsuccessful in bringing Mercia back under control. Instead, Wulfhere regained independence for the Mercians and spread his influence in multiple directions, including into Wessex, Essex, Sussex and the Isle of Wight. Osthryth was put in an awkward position by the renewed tensions. Her brother, Ecgfrith, became the new king of Northumbria after the death of Oswiu. The odd family relationship became even stranger in 674, when Osthryth’s brother-in-law, Wulfhere, attacked her brother, Ecgfrith, in an ambitious but ultimately unsuccessful invasion of Northumbria. To top it off, Wulfhere died of an illness one year later, making Æthelred and Osthryth the king and queen of Mercia while tensions between the Mercians and Northumbrians were still incredibly strained. Although Æthelred, like his queen, was an incredibly religious man, he quickly proved himself to be quite capable of taking up a sword and leading his men into battle. In 676, he ravaged Kent, and by 679, he somehow became embroiled in a major war with Osthryth’s brother, King Ecgfrith of Northumbria. That year, Osthryth could only wait in horror for news to arrive as her husband and brother battled it out at the River Trent. In the end, Æthelred and the Mercian army won the day. 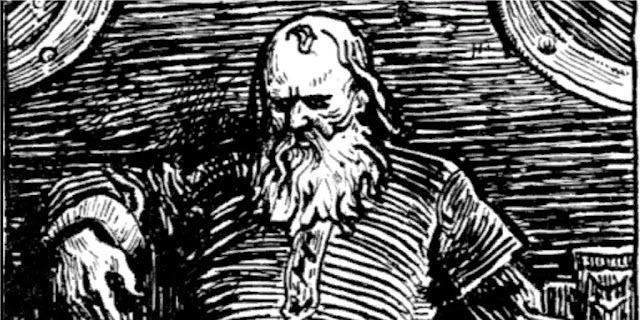 Yet, it was bittersweet news—although her brother, King Ecgfrith, thankfully survived the battle at the River Trent, another one of Osthryth’s brothers, named Ælfwine, was killed while fighting on the Northumbrian side. The death of Ælfwine almost caused the feud between Northumbria and Mercia to spiral into more bloodshed, but Archbishop Theodore was able to convince King Æthelred to pay a hefty sum to King Ecgfrith as a show of condolence. Thankfully for Queen Osthryth, there were no more known wars between King Æthelred of Mercia and Egcfrith of Northumbria after 679. As a result of the 679 Battle of Trent, Mercia regained influence in the region of Lindsey. There, Osthryth took particular interest in Bardney Abbey, and, in a controversial move, she was instrumental in having the bones of her late uncle, the Northumbrian King Oswald, moved to the Mercian-controlled abbey. This and other seemingly pro-Northumbrian tendencies may have led to Queen Osthryth’s downfall. For obscure reasons, a group of Mercians assassinated Queen Osthryth in 697. A few years after his wife’s murder, King Æthelred decided to retire. He abdicated the throne in 704 and became a monk, leaving the control of Mercia to his nephew, Cenred. Picture Attribution: (A scene of Beowulf from a 1909 book by Zénaïde Alexeïevna (1835-1924) and George Timothy (1864-1956), [Public Domain] via Creative Commons). The Anglo-Saxon Chronicle translated by Benjamin Thorpe in 1861 and republished by Cambridge University Press, 2012. Bede’s Ecclesiastical History of the English People (and relevant letters), translated by Leo Sherley-Pride, R. E. Latham and D. H. Farmer. New York: Penguin Classics, 2003.